Sgt. Andrew Jackson Harrell was a son of Roy and Rosetta White Harrell. He was born in Georgia, and that is from where he enlisted in the U.S. Army in 1942, entering World War II. According to his enlistment record at Ancestry, Andrew had a grammar school education, and his civil occupation was in the category of "semiskilled chauffeurs and drivers, bus, taxi, truck, and tractor." Sgt. 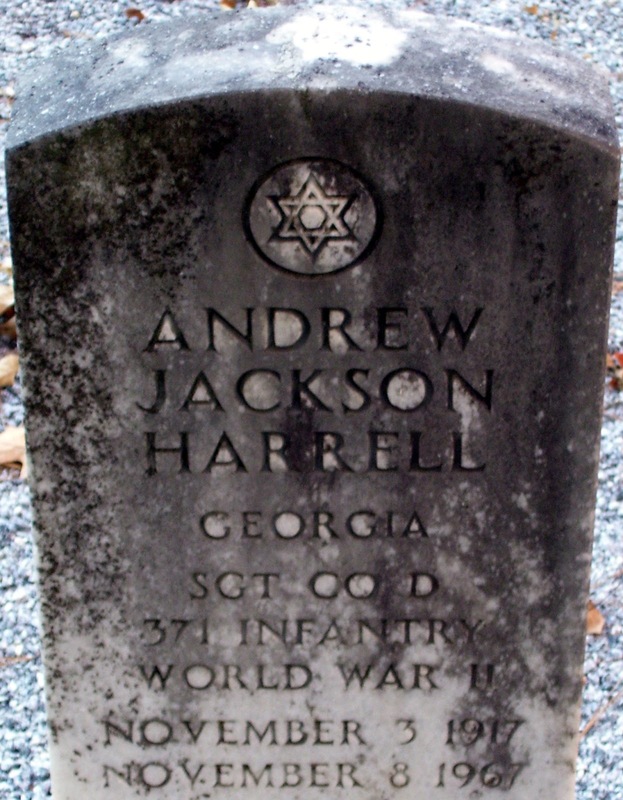 Andrew Jackson Harrell died in Los Angeles, California. The post is pretty short, so I'm not sure what "part" you are talking about. Where is your blog, Anonymous? May I simply say what a relief to uncover an individual who truly understands what they're discussing online. You actually realize how to bring an issue to light and make it important. More and more people must look at this and understand this side of your story. It's surprising you aren't more popular because you definitely possess the gift.